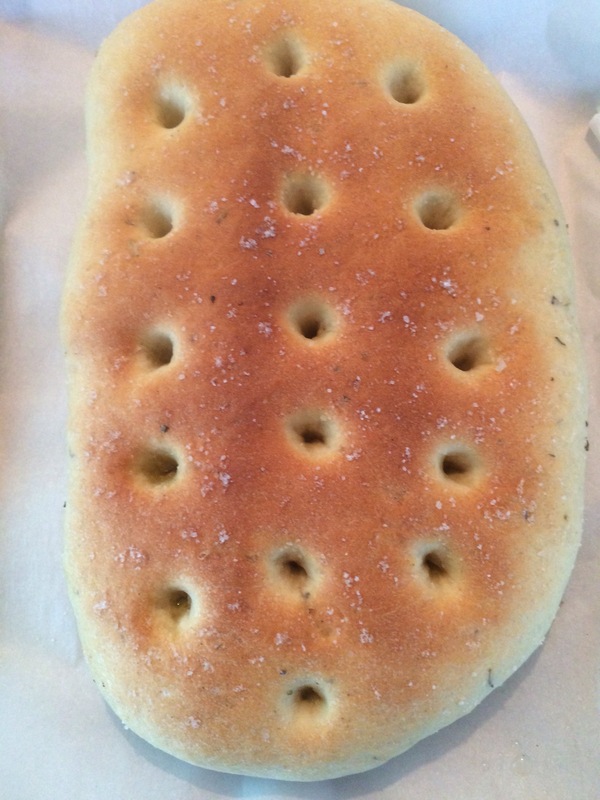 After publishing my post about cooking on a boat, I’ve had a few people ask about my recipe for focaccia, so I thought I would share it here. I’ve experimented with a few different recipes, and finally came up with something that works for us. I feel like it is a fairly forgiving recipe (so long as you don’t stray too far from the basics of bread making), so feel free to modify it to suit your needs. Combine the yeast, sugar and water in a bowl and let sit for 5-10 minutes to proof. Add the oil, spices and salt and stir to combine. 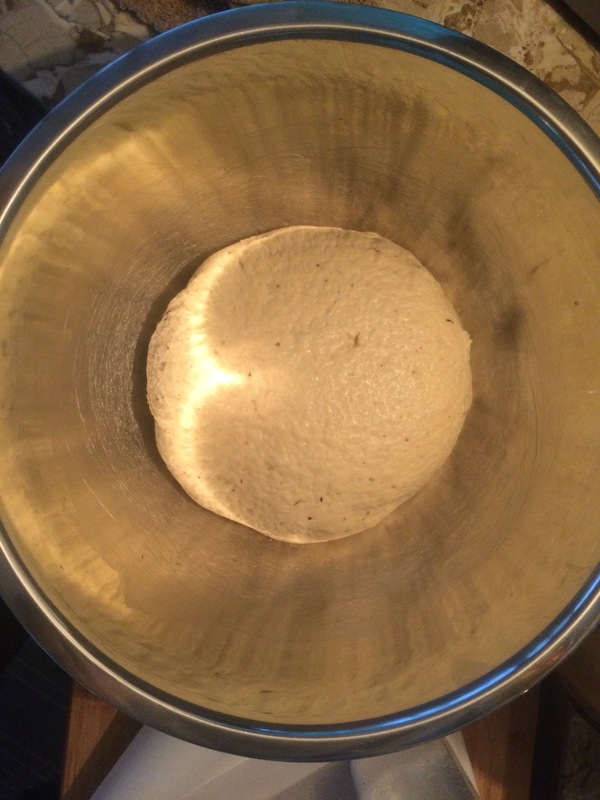 Add flour (you can do this in increments, but I tend to just dump it all in and stir like crazy) – if you are having trouble getting the last bit to mix in, use your hands and start kneading the bread in the bowl. This should work the stubborn bits of flour into the dough. Flour a counter top, then turn the bread out onto it. Knead the dough for 8-10 minutes, until it becomes smooth and elastic feeling. Lightly oil a mixing bowl; place dough into the bowl and turn to coat with oil. Cover with a warm damp cloth, then set somewhere warm with no draught. 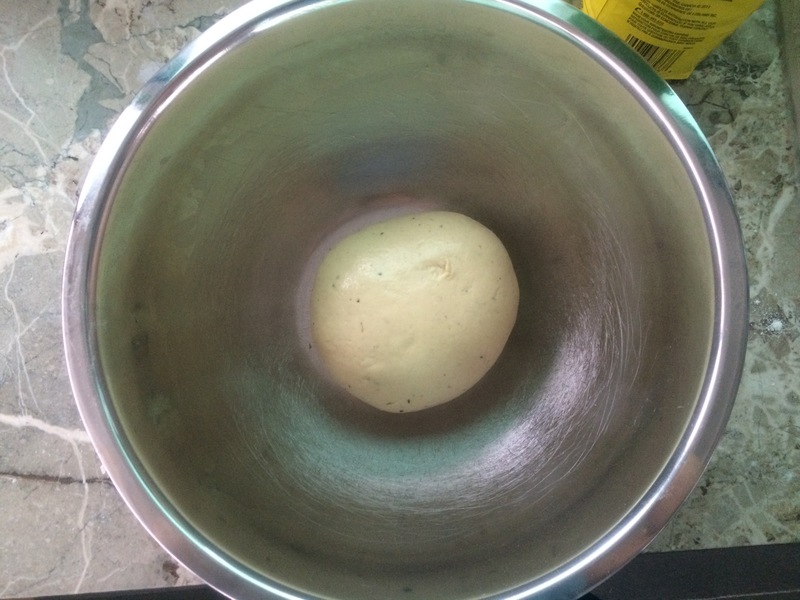 Let dough rise for 40 minutes (it should at least double in size). Punch down dough to remove the air bubble, then form into desired loaves (because I have to cook in a toaster over, I do two small loaves and have to cook them separately). If you have to bake in batches, cover the waiting dough with the warm damp cloth again, to keep it from drying out. 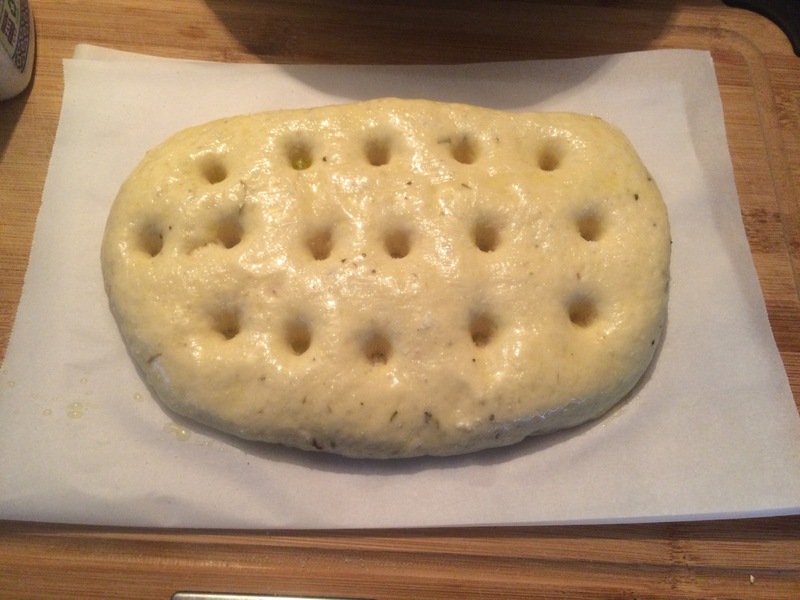 Once you have the flattened loaf, make dimples into the surface (use your fingers, or the end of a wooden spoon); brush with olive oil and sprinkle with sea salt. Bake at 425F for 12-15 minutes, until bread is golden brown on top. Let cool on a wire rack, then enjoy! If anyone has a recipe they would like to share, I’d love to try it out!